If you need to talk through your career plans or have a specific question that needs answering, we offer a range of appointments to help you. The advice we give is impartial and anything you discuss with us is kept confidential. Unsure which appointment type you should book or whether we can help you with your query? Contact us and we will be happy to help you. If you are looking for information to help with your career planning, our Information Team are the people to ask. Visit the Enquiry Desk in Virgil Building or phone us on 01225 386009 during our opening hours. Check our resource catalogue to explore the information resources we have selected. If you would like help to find what you need, ask the Information Team. These are 15-minute appointments available in the Virgil Building. Open to students of any year and University of Bath graduates who are able to attend in person. For application form, CV, covering letter and personal statement feedback only. This can be for employment or further study. You'll need to bring along your draft to show our Applications Adviser. 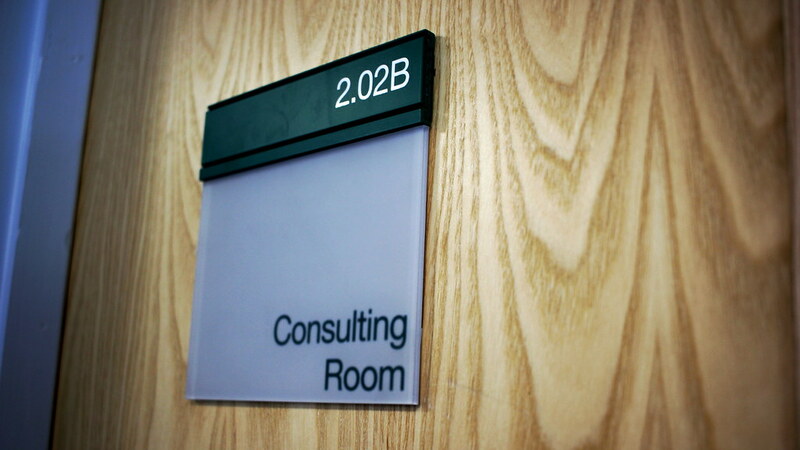 Appointments are confidential and take place in a private office. Book on MyFuture from 8am the day before the appointment (and see what's scheduled seven days in advance). Looking for help with a CV? Go to a CV workshop - see Skills Development programme to check for workshop dates. Use our Application, CV and cover letter guide. These are 20-minute appointments with our Careers Advisers and are available on most days. Ideal if you are wondering where to start, or you have a specific query. For example, job search, career choice or interview preparation. Not for CV or application feedback - for these you need a CV and applications advice appointment. Appointments at the Virgil Building for students of any year and University of Bath graduates who are able to attend in person. Additional appointments on campus for final-year undergraduates, for postgraduates, for doctoral students and research staff and for disabled students. Book from 8am the day before the appointment; at peak times the sessions will fill up very quickly. Careers Guidance appointments are available by referral only. For example, after attending a Careers Appointment or CV and Applications Advice appointment. They are open to students of any year and University of Bath graduates. This service with our Careers Advisers will help you define what you want from your career, and give guidance on planning your next steps. Appointments can last up to 45 minutes, are confidential and take place in a private office. Undergraduate and taught postgraduate guidance appointments take place at the Virgil Building; research staff and doctoral students guidance appointments take place on campus. If you have been referred to a guidance appointment, you can book in person at our enquiry desk or by calling us. We aim to accommodate you as soon as possible, and even at our peak times within 15 working days. Before attending your appointment please read our help to help you prepare. Access What to expect from a guidance appointment and how to prepare. Careers Guidance: for undergraduates and taught postgraduates, and University of Bath graduates Virgil Building 01225 386009 Booking by referral only. Must be booked at least one working day in advance. Careers Guidance for doctoral students and research taff On campus Staff: contact Anne Cameron; Doctoral students: 01225 386009 Must be booked at least one working day in advance. Careers Guidance plus: for disabled students On campus 01225 386009 or contact Melanie Wortham Must be booked at least one working day in advance. Employers interview students for placements, internships and graduate roles in a number of different ways. To give you the best possible preparation, we are able to offer you a practice interview. Practice interviews take place at the Virgil Building. To book, you must have made an application and have been invited to an interview. Please let us know at the time of booking how you would like to undertake your practice interview: face-to-face, telephone or Skype. You will get a general interview which lasts 30-45 minutes and your adviser will tailor the interview to the occupation and sector of your choice. Please note we are unable to ask technical questions. To book, please come and ask at the Enquiry Desk or ring us on 01225 386009 during our opening hours. In Semester 1 practice interviews are limited to one per student. We offer you the opportunity to practice interview skills using video interview software. InterviewStream offers you a choice of building your own interview or you can take one of our pre-prepared ones. Increasingly, employers ask students to deliver a presentation as part of the interview process. You can book a one-to-one appointment to run through your presentation with a careers adviser where we can give you feedback on your presentation structure and delivery. Appointments last 30-45 minutes and are at the Virgil Building. Please make sure you specify you would like presentation practice at the time of booking. To book, please come and ask at the Enquiry Desk or ring us on (01225) 386009 during our opening hours. Please note we are unable to provide access to AV equipment. If you are a graduate who is no longer in the Bath area or a student on placement, we can offer you an appointment via telephone or Skype. Please call us to discuss and book. We can only book appointments one day in advance. Please do not book via MyFuture, as we may not be able to meet your request and your appointment could be cancelled. If your appointment is via telephone, we ask you to call our Careers number, 01225 386009, and you will be put through to the Careers Adviser your appointment is with. If your appointment is via Skype, we will send you details of our Careers Skype accounts for you to add to your contacts. The Adviser will then Skype call you at the time of your appointment. If you need a quiet room for a video or telephone interview, you can book a space with us in the Virgil Building. This gives you solo access to a room where you can use your own phone or take a call via a landline, and you can use your own laptop or use the available PC and its webcam. Doctoral students and research staff have their own tailored careers support and appointments. Some other University staff members are also eligible for our services. If you are a disabled student, the Careers Service can offer you additional support throughout your degree and after graduation to help you succeed in achieving your career aims. Additional appointments are available with a specialist Careers Adviser. These are available to students with a disability, or long term health condition including, mental health, long term chronic illness, physical or sensory, or a specific learning disability such as dyslexia. You can book these appointments and access additional support by contacting our specialist Careers Adviser Melanie Wortham. This is run weekly on campus during peak times. Drop-ins are advertised in the events programme in MyFuture, and there is no need to book.